Testing is an important aspect of education whether in the public school or in a homeschool setting. Evaluating a student's performance is crucial to determining what educational curriculum to administer. Assessing and keeping accurate records of a high school child's grades is necessary for enrollment into certain universities. Above all, some states require standardized tests to be given at a specific testing site a few times a year. Testing homeschool children periodically through the year not only helps determine their skill level, but it also gives them a heads up when it comes time for mandatory testing. Look below for more information on testing, tools for assessment, and information on how homeschoolers score on standardized tests compared to students who receive their education in a public school setting. Certain states require children who are homeschooled to be evaluated. Many require standardized or achievement tests. 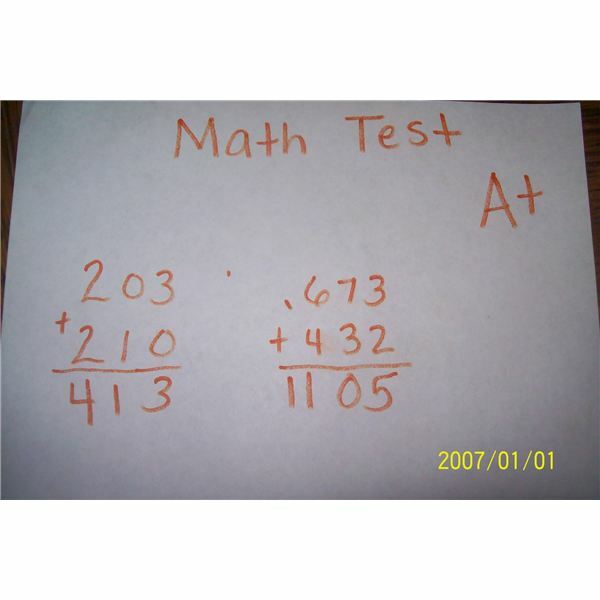 The California Achievement Test and the Iowa Tests of Basic Skills are required in the state of Iowa and Pennsylvania. The majority of states do require homeschool students to be tested or that home educators at least keep a portfolio for evaluation and assessment. Some states have strict guidelines and require children to be tested every year. States like Georgia require testing every three years, while some states like Missouri are more liberal and do not require any type of testing. Read below to find out more about the types of testing that is required and the states that make testing mandatory. Parents who continue to homeschool their children through high school may want to consider having them take the SAT or some other type of assessment. Many colleges require either the ACT or SAT tests for college enrollment. Keeping accurate records and transcripts is also important if your child will be attending college in the future. Before you decide which test to have your child take, it is a good idea to check with the university your child plans to attend. Some colleges require specific tests. Read the articles below to ensure your high school child will be accepted into the university of their choice. What Colleges Do Not Require the SAT Test? Finishing the Race: Which Homeschool Completion Certificate is Right for You? When Should Homeschoolers Take the GED? Some parents decide to assess their child's performance with regular testing because it is a state law. However, many parents decide to assess their children because it shows them how much their child has learned, what areas they have mastered, and which areas need improvement. Assessments can be used as a tool to help caregivers decide which curriculum to plan for the upcoming year. Listed below are tests and assessments for reading, writing as well as basic performance tests. Ever wondered if your child is gifted? There are tests your little Einstein can take that will show you just how intelligent your child is. Reading Progress in Homeschool: How Do I Know If My Child is On Track? How do children's test scores compare with students who are taught in public or private schools? How does a homeschooler do in college prepared to children who were taught in traditional schools? People may argue that homeschool students do not perform as well academically as children taught in the public schools. Suprisingly, homeschool students actually do quite well on assessment and achievement tests compared to students who receive their education in traditional schools. In the articles below, you will find information about the overwhelming statistics and average scores of homeschoolers. In addition, we have thrown in a quiz for adults who are considering homeschooling to take to see if they are ready for the journey. Almost all states require mandatory testing for homeschool children. The states that do not require testing generally require some sort of proof that your child is learning. This proof may come in the form of an evaluation, assessment by the parents, or a portfolio. This is why it is extremely important to keep good records throughout the course of the year. As a homeschool parent, you have received an A on this guide to homeschool testing. Now you know everything there is to prepare your children for mandatory testing, assessment and college so they may have a bright future ahead of them. Those who still have questions or would like more information regarding this subject can let us know. We are always up for suggestions. Photos and information provided by Bright Hub authors.